Italian Storytellers tries to show what stands behind the “world-famous Italy”. I mean, you surely know Rome, Venice and Florence but do you really know them? And what about the people living there? Basically I am curious about what is unknown to me and I always look for things that don’t come out at first sight. Actually places have always some special hidden things, small treasures waiting to be discovered. It happened the same when I was in Siena, Tuscany the last month. Along with Florence, Pisa and Lucca, Siena is a place not to be missed in Tuscany. Its city centre is one of the Unesco World Heritage sites of central Italy. The city is laid down on a hill and most of its streets are quite steep. No problem! 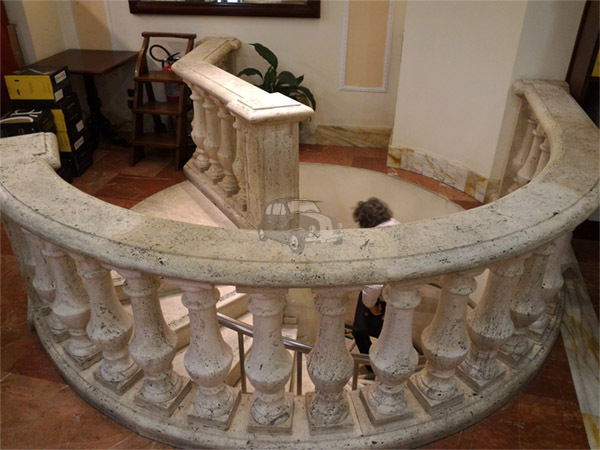 Take all the time you need to rise up because along your way you will mark some enchanting details. Apart from where to eat or where to sleep, which are the things to know about Siena? How do the locals live? Where do they go? Which are their habits? I asked some questions to a local and I gather some things to know about Siena that you didn’t know before. Ready to discover them? First of all you have to consider that you need to divide ‘Senesi‘ in two categories: the rich and the middle class. Siena is one of the richest Italian cities. 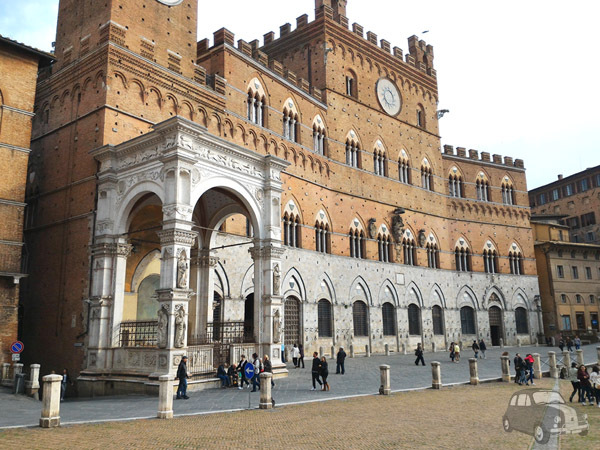 One example is that Siena is the seat of a bank, Monte dei Paschi di Siena. It was founded in 1472, that makes it the oldest Italian bank still in activity and the most long-running bank in the world. That means “Nannini, Donnini and Mancini are the owners of Siena”. 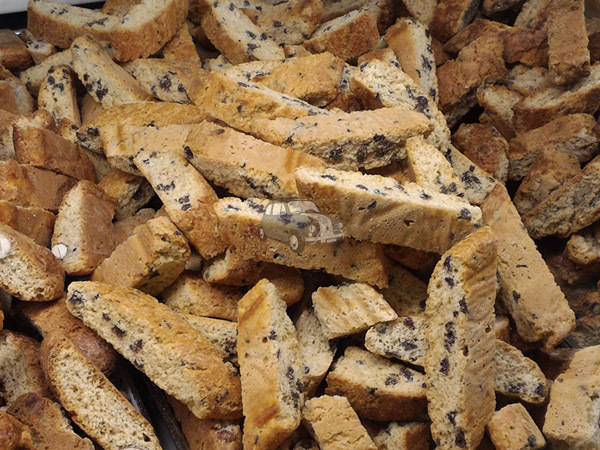 Nannini, Donnini and Mancini are the richest families in Siena with the oldest business activities in the whole city. The second thing you have to consider is that people from Siena are closed. The real Senese (above all the elder one) is willing to help you, but not to become friend with whom he/she doesn’t know. The Senese is closed in his/her own contrada. Senesi are flag-waving, in fact they love their city and they believe that Piazza del Campo is the most beautiful square in the world. The two social classes have some differences in their lifestyle. In this period of economic crisis habits are changed for the rich Senesi too, but they are trying to resist to this change. In fact you will never see the rich one taking a bus. They still go shopping at Consorzio Agrario where prices are higher than supermarkets. 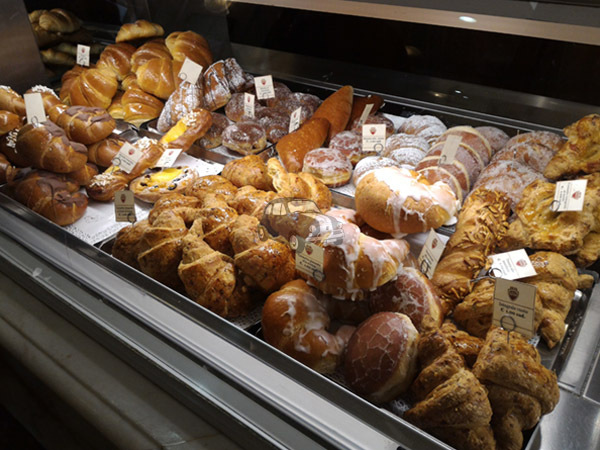 If you would like to live like a local you have to stop in one of the Nannini‘s bar to have breakfast. There are a lot of bars with this name, but the preferred one is in Via Banchi di Sopra, one of the main streets in the city centre. 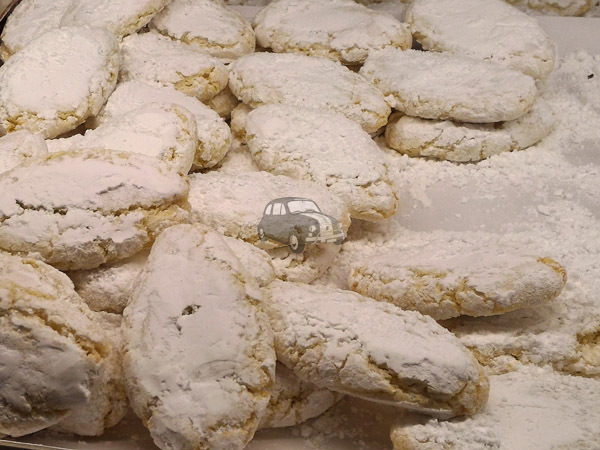 Pastries are wonderful. I choose one made of rice. Delicious! In the morning the Senesi stroll along the main streets or like relaxing in Piazza del Campo. Usually they spend time within their own contrade. In the next days I will write about Palio di Siena and which is the role of the contrade. 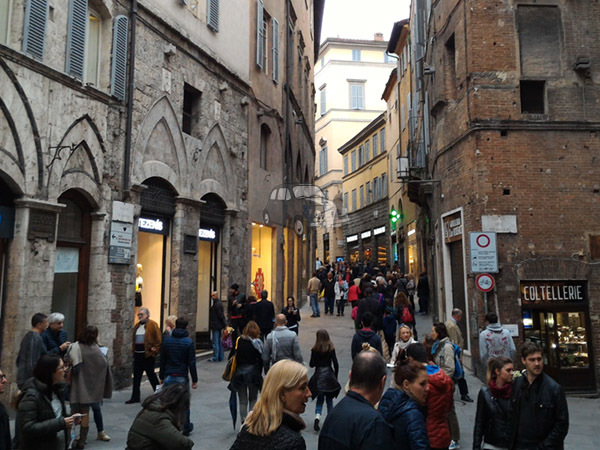 Via Banchi di Sopra, the shopping street in Siena. On Wednesdays there is the city market, but only the elder people and the (ceto medio) go for shopping there. Senesi hang out bars in the alleys of their own contrada. They meet there after dinner or during free time. But if they are high-ranking people you will not find them there. 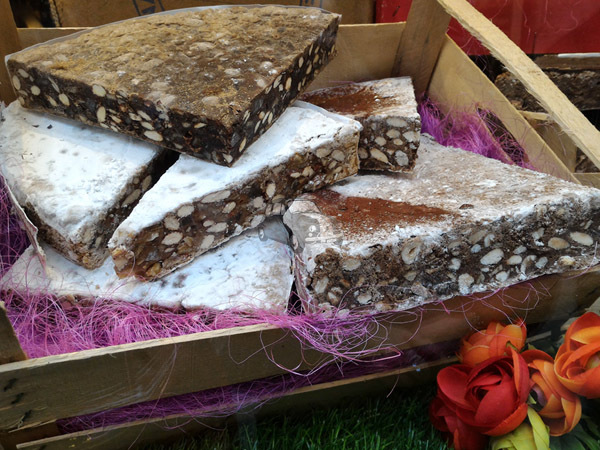 Looking for an aperitivo? 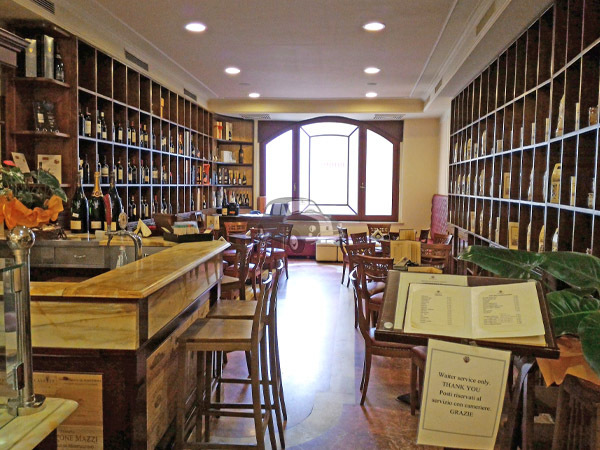 You have to choose Nannini’s bars or bars along Via Montanini, Via di Accetto or near the Loggia della Mercanzia (just behind Piazza del Campo). But please don’t sit down in a bar in Piazza del Campo… these places are only for tourists. 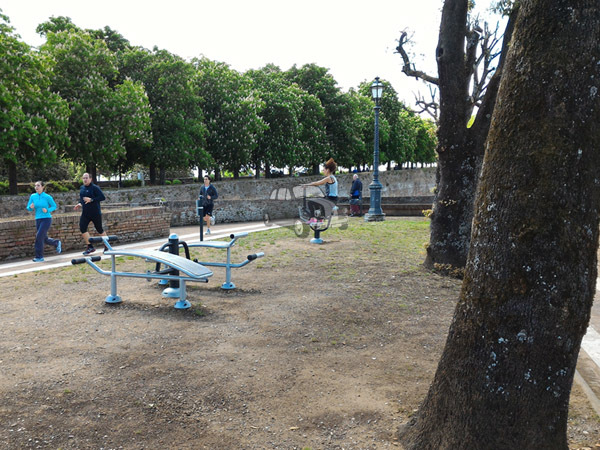 If you wanna get fit, go to the Medici’s fortress. This is the favourite place of Senesi to run and to do exercises. Fitness equipment has been placed recently here and you can use it for free. What about holidays? Senesi don’t like going far away from their city also during festivity and long weekends. If they move to the mountains they prefer to go to Abbadia or Alberone; if they have got a beach house, probably they will spend one day or two there. What do you think about locals in Siena? Write your opinion here below!